Are the Steelers particularly vulnerable to ‘Trap’ games? Let’s examine the underlying assumption here. In thinking this, we are essentially declaring that certain opponents cannot possibly win a contest against Pittsburgh unless the Steelers screw up and underperform. It must be and can only be that the Steelers play down to the level of their opponent, rather than the opponent, though objectively weaker, is capable of elevating their efforts to be competitive with an otherwise superior group. Tuesday was supposed to be my first day at training camp. In fact, I got about a mile from my house in the Mean Green Momma-mobile before I thought to myself, "Wait, aren&apos;t the players usually off on Tuesday?" I pulled over, checked the schedule, and the answer was yes, they were. So yesterday I repacked my cooler bag with St. Vincent&apos;s-approved beverages (water, in this case), grabbed my binoculars and a hat and various other necessities, including, for once, a yellow pad and pen, and headed out again. I was rewarded with a beautiful day in Latrobe. It was just the way Mike Tomlin likes it—sunny and hot. Fortunately I got there early enough to snag a seat in the shade, but it was still plenty warm. Usually, my writing is directed to Steeler Nation as a whole, but there is at least one way that the community can be partitioned. There are Pittsburgh fans, and then there are Steelers fans. The common denominator for these two groups is the allegiance and devotion to the Steelers. The Catfish Conundrum: Just How Far Should Fan Loyalty Go? I really ought to be breathlessly writing about OTAs and how JuJu S-S is playing in the slot (big surprise) and how Senquez Golson is playing in the slot on the other side of the ball (also not much of a surprise, unless you consider it to be a surprise he’s on the field at all.) Or any of a number of things which probably don’t mean very much at this point, because it’s football in shorts. Things are getting a bit tense in Antonio’s world. The six o’clock news had a short segment yesterday evening showing some clips from rehearsal and asking some questions. One of the questions—does he take the judges’ criticisms personally—was answered in the negative, with AB indicating that as long as Sharna is happy with what he’s doing he doesn’t worry too much about the judges. This is a term that has been associated with behavioral psychology, a branch of the discipline that didn’t concern itself with describing the mechanisms that were at work driving human behavior. Something happened in that black box and behaviors came out. What happened in the box was anyone’s guess. It’s just like coaching in the NFL. Criticizing a head coach becomes an easy eye-of-the-beholder exercise because few really have a clue as to what precisely goes on in the black box that is team preparation. The propagation of the Bust Mentality, as described in Part 2, doesn’t end with the players. Those who say that success has many fathers while failure is an orphan apparently have no familiarity with Steeler Nation. More to the point, there is no shortage of suspects as to whom will be held accountable when the Lombardi does not arrive. 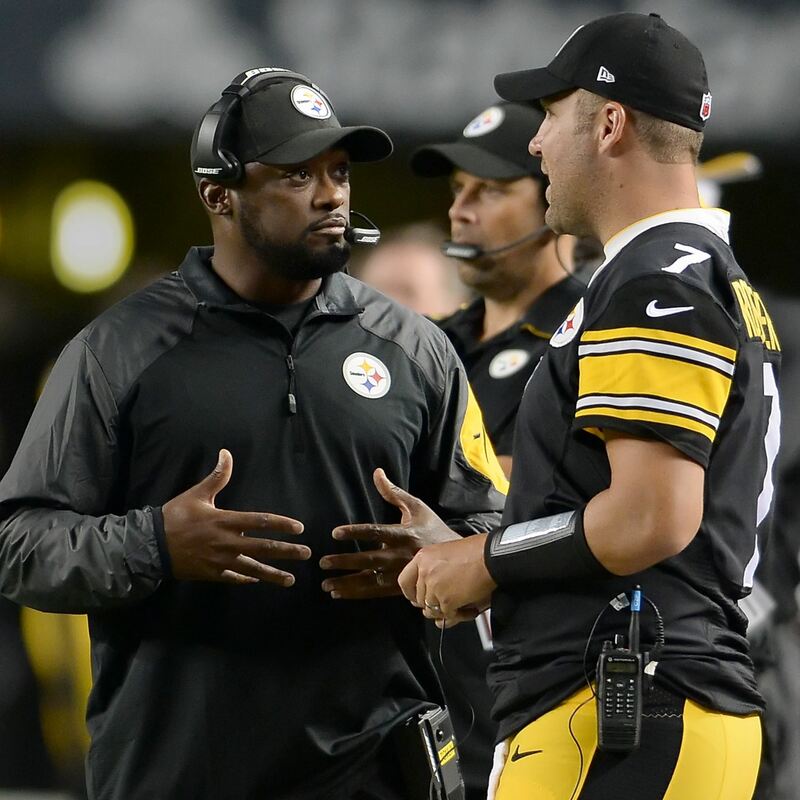 While many rotate through the roster of the constellation of shame when it comes to the Steelers’ perceived shortcomings, there is one fixed star—Head Coach Mike Tomlin. I would suspect Tomlin might be the first to admit that this is part of the job. Unless you are among the most feckless of fans, the experience pretty much guarantees disappointment. It is a matter of record that Steelers fans experience the highs and lows more acutely than others, so the desire to identify a scapegoat is irresistible. Assigning blame is, of course, easy. As to whether it is valid is another matter entirely.